Are you a composer or songwriter? Or someone who’s looking to work with a composer or songwriter? Or someone who just wants to hang out with composers and songwriters? We want to meet you! 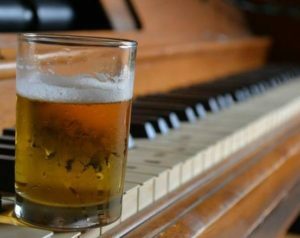 Seattle Composers Alliance invites you to a casual gathering at Tavern Hall in Bellevue, beginning at 7:30 PM on Wednesday, January 9th. See you there! Invite your friends! Are you a composer or songwriter? Or someone who’s looking to work with a composer or songwriter? Or someone who just wants to hang out with composers and songwriters? We want to meet you! Seattle Composers Alliance invites you to a casual gathering at Blue Star Cafe, beginning at 7:30 PM on Wednesday, December 12th. See you there! Invite your friends! Are you a composer or songwriter? Or someone who’s looking to work with a composer or songwriter? Or someone who just wants to hang out with composers and songwriters? We want to meet you! Seattle Composers Alliance invites you to a casual gathering at Tavern Hall in Bellevue, beginning at 7:30 PM on Wednesday, November 14th. See you there! Invite your friends! Are you a composer or songwriter? Or someone who’s looking to work with a composer or songwriter? Or someone who just wants to hang out with composers and songwriters? We want to meet you! Seattle Composers Alliance invites you to a casual gathering at Blue Star Cafe, beginning at 7:30 PM on Wednesday, October 10th. See you there! Invite your friends!